First cut a 6 1/2" x 9 1/2" piece of white card stock and fold it in half for the base, a 4 1/2" x 6 1/4" piece of yellow for the middle layer, and a 4 1/4" x 6" piece of white card stock for the front. Next emboss the front with a Stampin' Up! 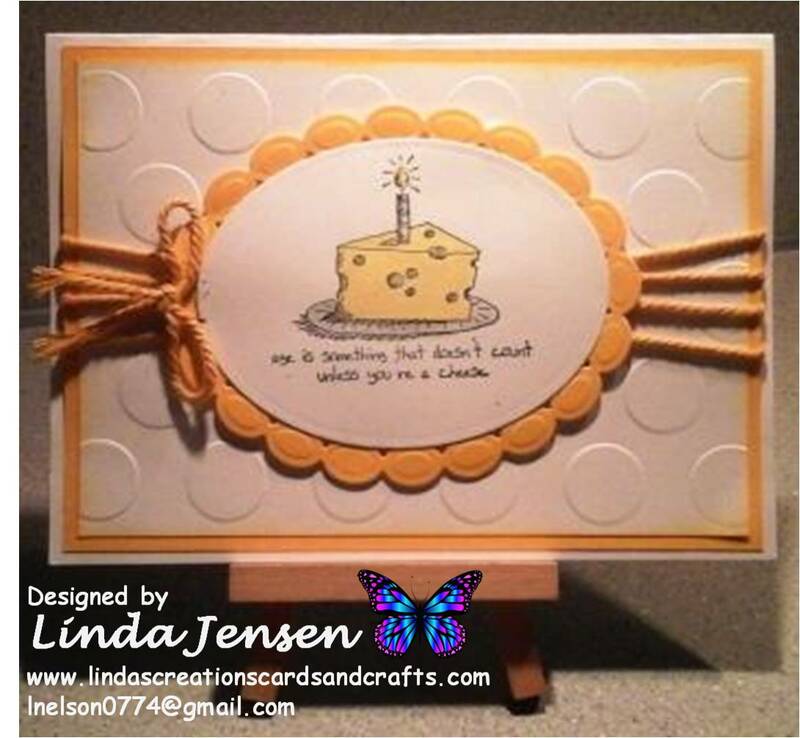 Large Polka Dot embossing folder and sponge the edges with Stampin' Up! Hello Honey ink. Then cut and emboss the image's background with a Spellbinders Beaded Ovals die and cut out the image with a Spellbinders Classic Ovals die. 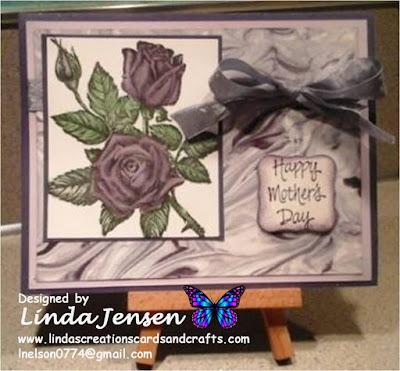 Next using a Stamp a ma jig stamp the image in Stazon Jet Black ink, color it with either an aqua painter or blender pen and Hello Honey and Smoky Slate inks then attach it to it's background. Then attach the base to the middle layer, wrap the Hello Honey Thick Baker's Twine around both layers, attach the image over the twine with mini pop dots, attach the middle layer to the base and enjoy!